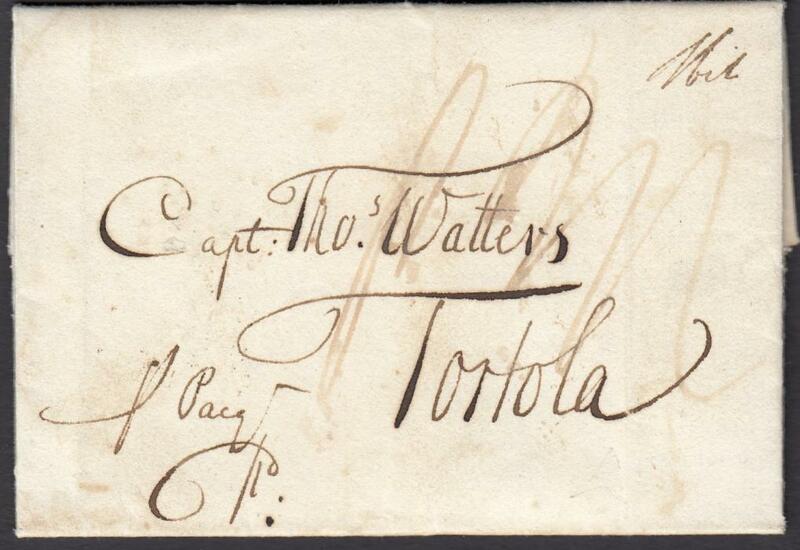 1811 copy entire addressed to "Capt. 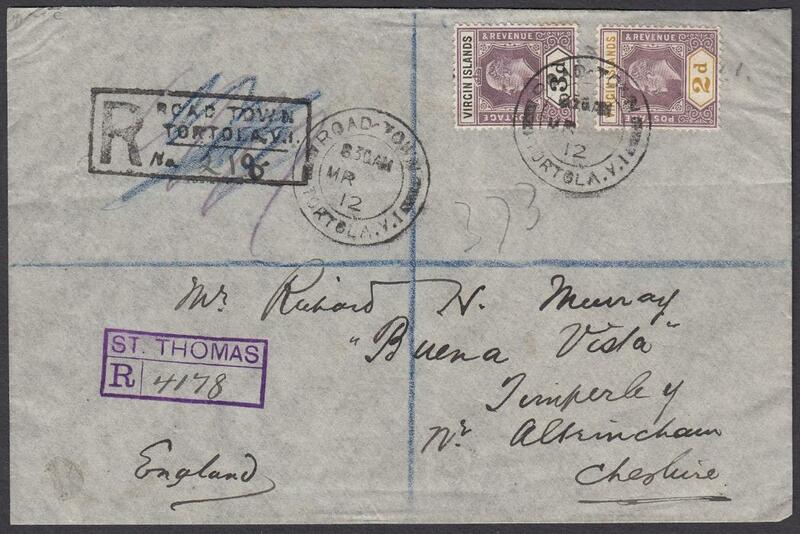 Watters, Tortola" (British Virgin Islands) bearing Liverpool date stamp and manuscript rate markings. 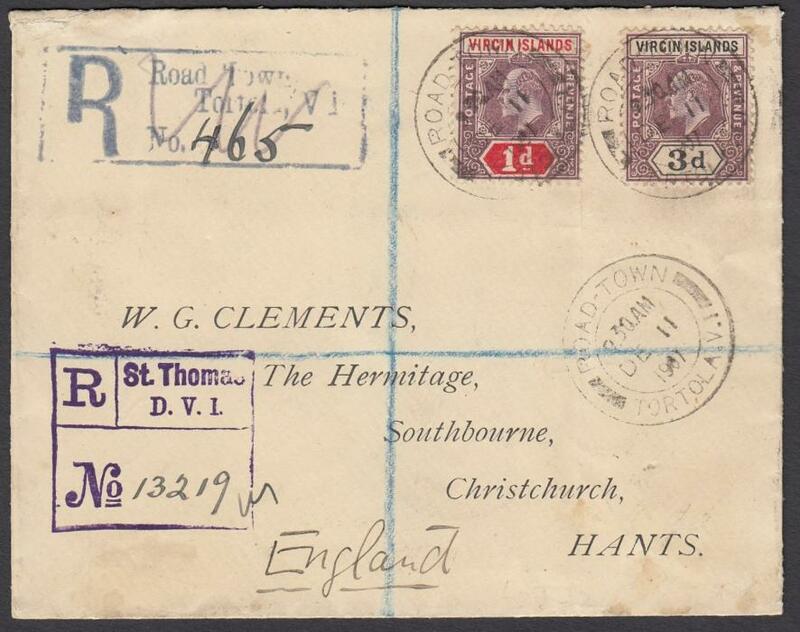 A fine early entire. 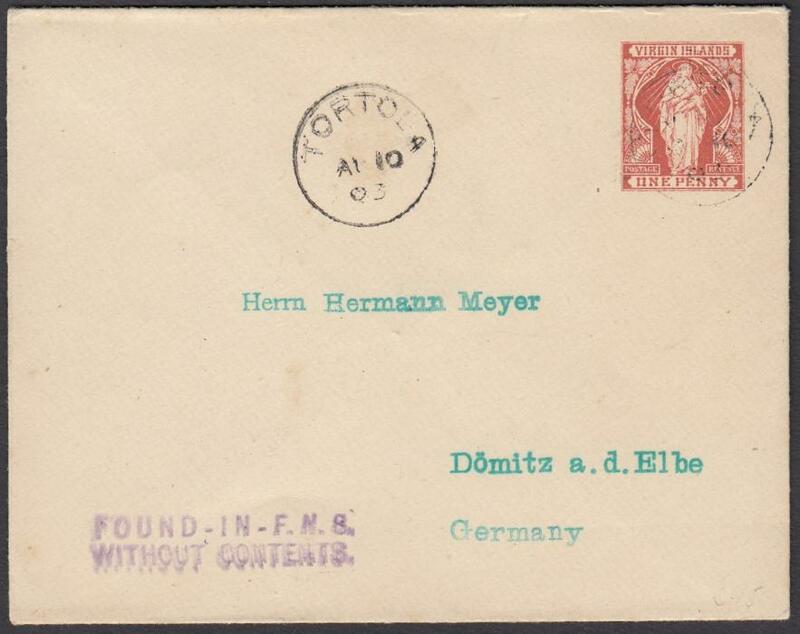 1903 1d postal stationery envelope to DOMITZ, Germany, cancelled 'Tortola' date stamp; at base two-line violet FOUND-IN-F.M.S./WITHOUT CONTENTS. 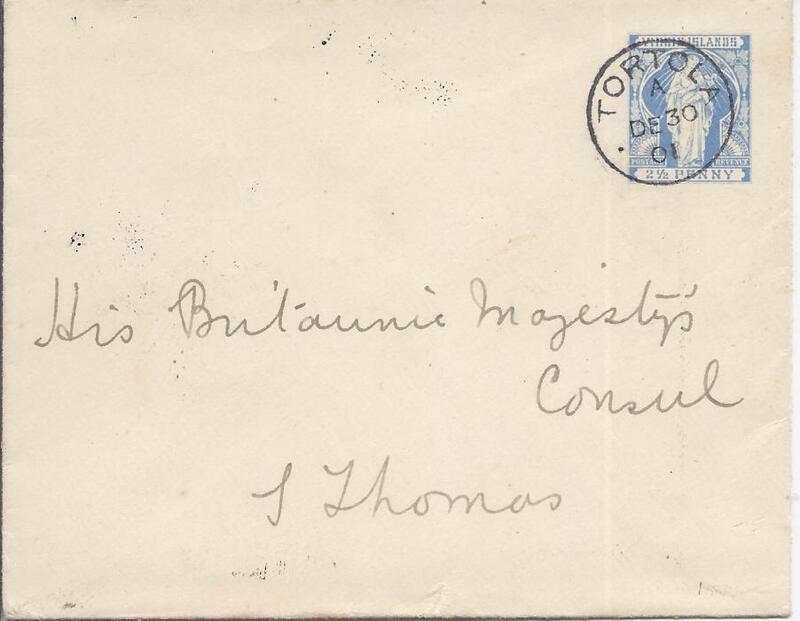 Arrival backstamp. 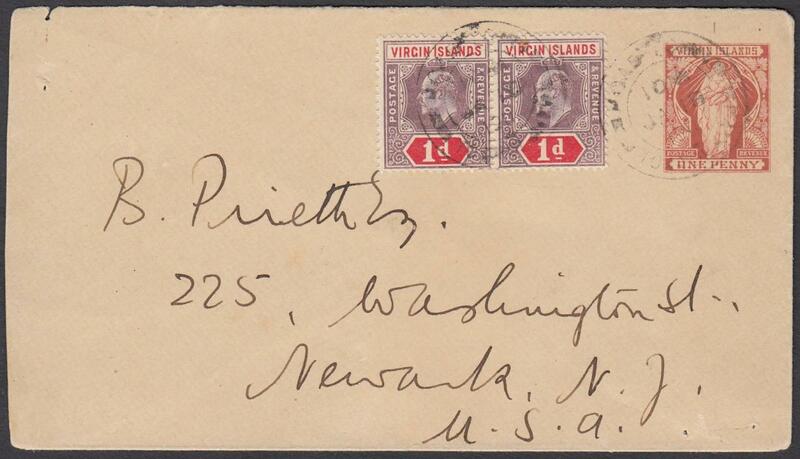 1911 1d postal stationery envelope to Newark, NJ, United States up-rated pair KEVII 1d cancelled 'Road Town' cds; reverse with St Thomas transit cds. 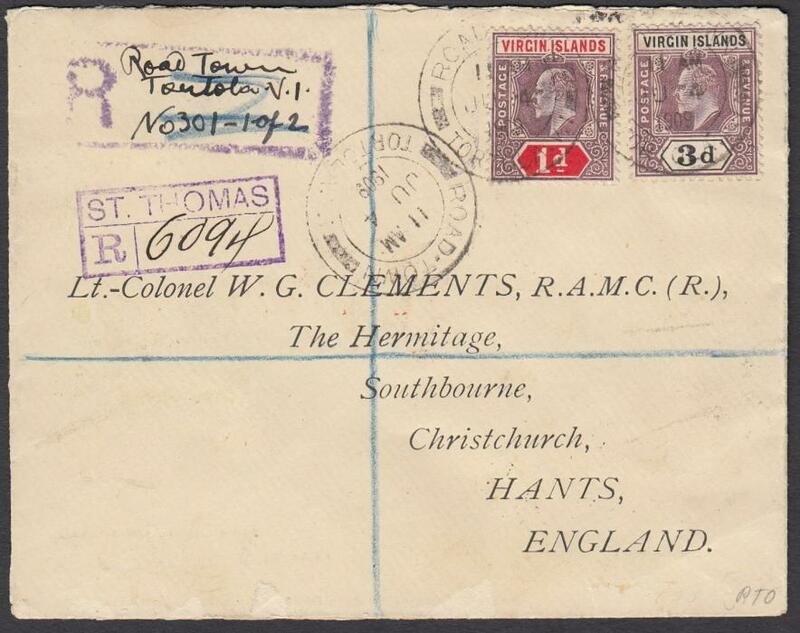 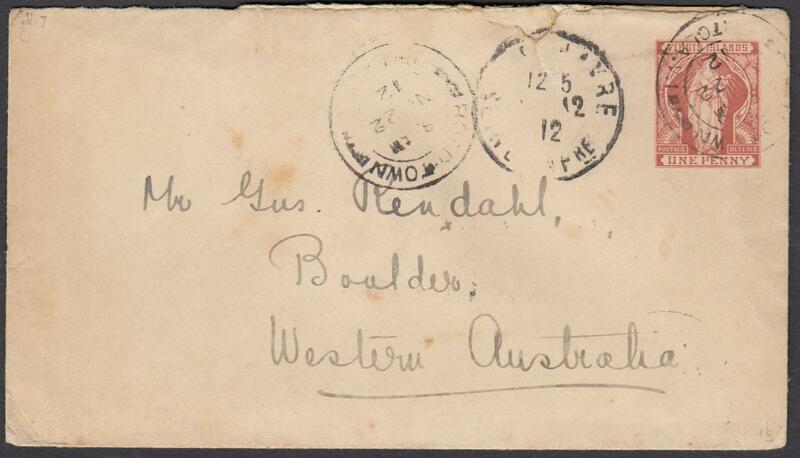 1912 1d postal stationery envelope to BOULDER, WESTERN AUSTRALIA, cancelled 'Road Town' cds with Le Havre transit alongside, reverse with St Thomas transit cds; small fault at top of envelope. 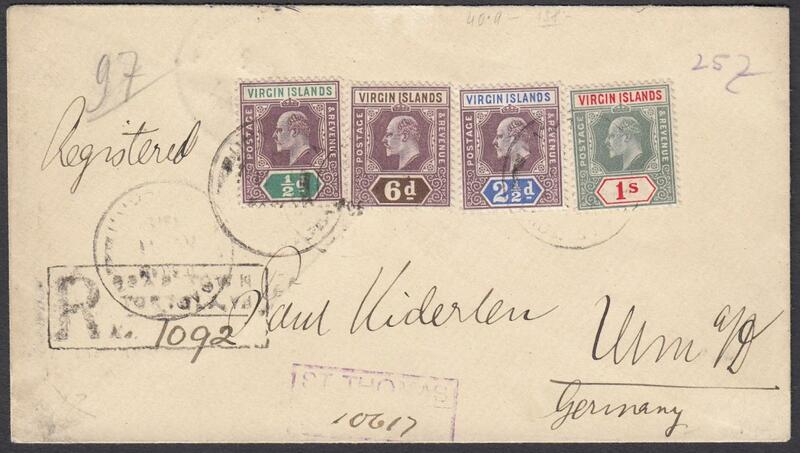 A most unusual destination.